Of course that's not entirely unexpected given all of the new faces and the nature of a season-opener after months of not playing and simply waiting to knock the rust off. That's why many many coaches will tell you that the week between Game 1 and Game 2 is often when the biggest strides are made. The rust is knocked off, the routine is back and suddenly things feel a bit more like football season. That's not to say Penn State will come out and score 40 points and play stifling defense because seven days went by, but things might look a little more cohesive. So of the many things to look at, here are the five I'm keeping an eye on. Flow: Penn State's offense scored points last week, but it didn't really have the style points of the past two years in the process. It stands to reason this team might be a little less explosive, but can it at least put together a few drives that move the chains and look increasingly coherent. There are a lot of things that play into this, but in general, does the offense look better and more and more like an offense that can make a run in the Big Ten. 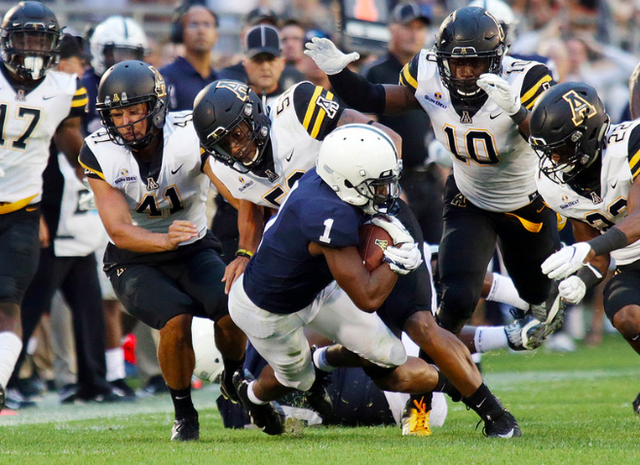 Tackling: Sort of an obvious choice here but tackling wasn't exactly a strong point for the Nittany Lions last weekend and will have to be moving forward. It's one thing to give up an extra five or 10 yards against Pitt or Illinois, but five to 10 yards can turn a game against a team like Ohio State when you need a big stop and should have had it. Bouncing back: In a similar vein can guys who didn't have great games in the opener look more the part in Week 2? Juwan Johnson isn't going to struggle all season but he needs to be the reliable target for Trace McSorley. Odds are Johnson won't be dropping key passes all year, but if he can bounce back and start off strong against Pitt, that'll go along way towards avoiding an early season rut. Linebackers: They didn't look bad, they didn't look great. Can this group take a step towards solidifying its rotation and fundamentals. It's probably going to be a few weeks before this bunch has everything sorted out, but the sooner the clear options start playing like the clear options, the better off Penn State will be. How does Micah Parsons look with first week butterflies out of the way? 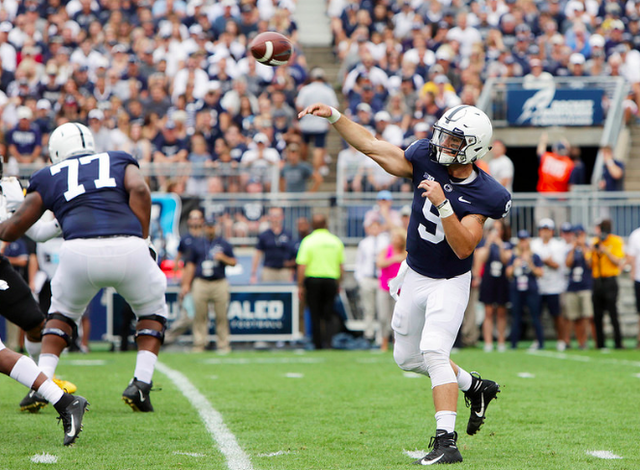 Down the field: This offense probably won't take shots down the field quite as much as it did the last two seasons, but if Penn State can still spread the field with DeAndre Thompkins, KJ Hamler and Juwan Johnson that'll go a long way towards opening up the run game. Thomplins was largely a non factor on Saturday, mostly because he didn't see the field tons, but he's a great down the field threat when he's at his best. With Justin Shorter out of the equation with injury, anyone who can replicate DaeSean Hamilton's jump ball abilities this year will be a welcome sight for Ricky Rahne and company.